Do you know what a bounce rate is? If not, then it might be the time that you learn about it—most especially if you are someone who has an online business (whatever business that may be). Bounce rate is actually the metric or measurement of the number of visitors you have on your website, who, instead of staying to surf—opt to back out or “bounce” away from your site. (the dreaded BACK button). Now, you might think that this simple metric isn’t really that important, but if you try to look deeper, you’ll notice that there’s a very important message here: if you have a high bounce rate, then it means that you’re burning money, time, effort and resources to attract traffic. A high bounce rate also means that something that is turning people “off”, a disconnect! And how will this affect your online results? It means there are things that you should be adjusting (immediately) in your campaigns. Otherwise, you might end up spending much time and effort—without results—all because you failed to consider what people really want. The bounce rate and back button have a “special” relationship. After all, having a high bounce rate means that there are more people who opted to use the back button instead of surfing on your site. In fact, a high bounce rate is both a marketing and financial problem. It is a marketing problem because instead of attracting people to your site, you are driving them away instead. It is a financial problem because you are actually increasing your costs, which in turn, decreases your profits and ROI. Yes, a high bounce rate is a really serious problem. As it is, you should take the time to find serious solutions. Why do you honestly think people are leaving your site? What is turning them off? Are you able to “connect” with your audience? Or is there a “disconnect” between you and your visitors that you just haven’t figure out yet? Why do people go to your site in the first place? And have you taken the necessary steps to make sure that they’ll stay in your site? Remember: as an entrepreneur, you need to be able to decipher and find why your relationship with your target market isn’t working out. You need to figure out why your campaigns aren’t connecting—and try to find the most effective ways to turn things around. 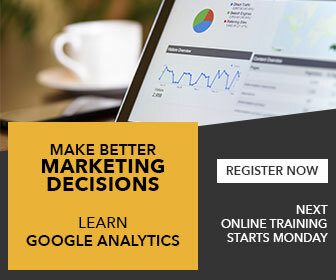 Get a good bounce rate measurement tool, such as Google Analytics or similar programs. Use your program to find and understand which specific page in your site has the highest bounce rate (meaning: with the most traffic leaving). Start from the worst-performing pages. 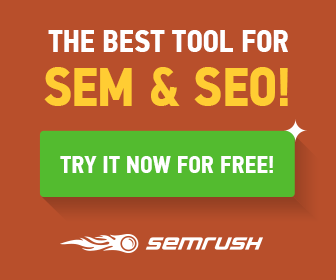 Identify and segment the sources of your traffic. Is it coming from social media? Traditional marketing? 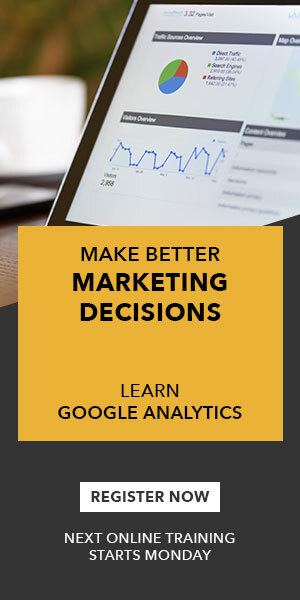 PPC ads? This can help you delve deeper into the problem later on. Review the way you’re communicating with your audience. Did you promise them something? If so, is your site or landing page consistent with that promise? Does your site deliver on the expectations of your visitors? Review these details and make the necessary adjustments. Take note: web surfers can be quite lazy and demanding at the same time. As it is, you should try to understand them, in order to effectively cater to their needs and expectations. Otherwise, you can’t expect them to stay still for you. In the end, the message is quite simple: use all reasonable means to prevent your customers and visitors from “bouncing.” Once you’re able to do that—then you can honestly say that you’re on the right track. Hey, George Gill here, founder of the Measurement Doctor and creator of the two-times business multiplier. Thanks for joining me today. Today’s topic I want to discuss is the metric Bounce Rate. Now, the term Bounce Rate has a specific meaning and we are going to get into that and why it is important that you should be measuring it. We are also going to talk a little bit on how you can improve your Bounce Rate so that you have less traffic leaving you. What is Bounce Rate? What does it really mean? First of all, it’s really geared towards online businesses. If you have a website and you are marketing to drive traffic to that website, whether that be through social media, maybe paid advertising and even traditional marketing. They are landing on a certain page on your website and that page might be the home page and it might be a sub-page if you are sending them to a squeeze page. You might be naturally or organically attracting traffic through maybe a blog if you are writing on a consistent regular basis to your blog. You are going to be attracting some organic traffic to that page. When that traffic lands a certain percentage of that traffic, it takes no action other than hitting that dreaded back button — they are out of there. They don’t spend any time on the page, they don’t read the page, they don’t fill out a form, and they don’t go on to navigate through the site, scroll down the page or any of that. They just hit the “back” button and they are out of there. And that’s referred to as a bounce. Now, if you have every one person, out of every 2 people that come and one person bounces, in other words, immediately leaves that site, then, you have a 50% bounce rate which means half of every single person that lands will leave. If they make that a little larger, 10 people come and 5 people take no action and leave. You start to understand why bounce rate is such an incredibly powerful metric and essentially extremely important to your business. Let’s discuss the real problem here. The real problem as I see it is not the fact that you are only dealing with half amount of people if your bounce rate is 50%, half the amount of people that are attracted to your site. I think the real problem is that there is a “disconnect”. A disconnect beyond with the expectation of the audience had when they landed on your site. This “disconnect” is not only causing a problem for your marketing, it causes a problem for you financially. Let me explain that and what that means. We are going to get into return on investment here –ROI. But, really what we are talking about here is the declining profit and how does it work? Let’s use that 50% bounce rate as an example if you have a 50% bounce rate and you’re selling a product, and use the value of a product and this could just easily be a subscriber, building a tribe, adding people to your blog. Whatever goal you have for your business, for your online strategy, it can be any of those but we’ll use an e-commerce site to add dollar value to this, therefore, every sale you make is worth fifty dollars ($50). Your spending whatever the amount is. Let’s say Ten Dollars ($10) to drive 10 people to your website. Here’s the reality, if you are selling something for fifty dollars ($50) and every sale that you convert in your website, then you have a 50% bounce rate your paying double for every sale. Which means if I have two people come and only one of them is a potential buyer, and I paid for two regardless if that one person buys or not. That’s a Return on Investment. And if I lower that bounce rate, if I lower that to 10% therefore in every 10 will come only one leaves. I’m paying just over one to one ratio for every buyer that I get. The lower my bounce rate is, the lower my cost the higher my profits are. Essentially the higher that bounce rate is, the worst it is for your business. When I started in business, I started it with a traditional retail store and I learned traditional advertising, newspaper, radio, TV, etc. Every once in a while someone would walk-in the door and take a look around, and immediately turn around and walk-out, and that would horrify me. In the back of my head, I’m thinking we were in a plaza and they just walk in the wrong door. What if they didn’t, what if they walk in and something turn them off, maybe with the display maybe with the odour in the store whatever the case may be. It really kinda hurt me for a second, or if somebody comes in walks around and immediately leaves not stopping at anything and just do a quick circle and leave, that hurts me personally. So, the problem I think with online is you don’t have that personal connection, you don’t see something landing at your site and immediately leaving. But when you start to feel it like that, you start to feel like you’re responsible for that relationship, connection between that how they decided to come to your site in the first place and what they decide to do when they got there and if they left and you take that a little personally, you’re going to very aggressively start to improve your bounce rate. So again, there’s the financial side where you could be paying more two or more four times if you have a 99.9% bounce rate and I’ve seen it before. You could be paying as high as that more than you need to for a subscriber or whatever your goal conversions are and there is also the personal side that there is this “disconnect” and this is your potential audience and assuming that your marketing in areas that your targeting your ideal clients, your ideal audience, so if there’s this huge disconnect between when they land and taking any or no action then that’s obviously that’s a big concern. Moving on from there, why do people bounce? Well to understand why people bounce? Why they leave? I’ve been kind of hinting at it saying that’s there’s disconnect but what that does really mean? Well, we have to understand why somebody comes to your website in the first place and what I like to refer to the site is it’s all about them. We don’t go to somebody’s website for them. We go to their website for us, right? We either want to solve a problem, or we want to learn something or we want to be entertained. It’s usually one of those three or a combination there, or if we can achieve all three in one. Then we’re really good. So it’s all about them. If we know that it’s all about them, you’re marketing to them in traditional marketing to drive them to your website. Told them X, X is whatever you promise. Maybe it’s a great price on tea, maybe if you sell tea, maybe it’s to solve their photography question, and maybe it’s a free tip on SEO or Social Media. Whatever the case may be, you promise them X. And they landed on Y, that’s when the disconnect happens. It’s all about them. They wanted X, they landed then they got Y which is not what they wanted at all. So let’s put this into the real world. I was recently looking for a new set of brake pads for my bike and I went searching on the web that’s what we do — I check my social media channels, I throw a request for anybody who has a recommendation. Then I went to Google. I did a search. Then there was paid add. Paid Add — that’s a PPC. Click on the ad for brake parts for my bike and I landed on their homepage. Now, it’s all about me. Remember, it was clearly a bike website and I hit the back button and I was out of there. Now, why do I hit the back button? It was about bikes. I needed bike brakes. I landed on the homepage. A word or two I am lazy, as web surfers were lazy. The back button is far easier than me putting in the work and effort to search around and find my solution — that’s your job. If you own that website that was your job and if you’re running those PPC, you should have driven me to the exact product that I was expecting. So, I had a “disconnect” even though it was in the same industry. There was a “disconnect” because it was easier for me to click back and hit the next add, and for me to search around your site and buy your product. So it’s all about me and I am lazy. Well, I am your ideal client, so ok or maybe, but whoever your ideal client is, I guarantee it’s all about them and their lazy, as web surfers back buttons way easier. How do we fix this? How do we solve the bounce rate problem? Well first of all we need to be using those tools, like Google Analytics or any measurement tools that is measuring traffic coming to our website. That’s key, that’s step one, or that’s foundation, that’s not even step one. Assuming we’re using a measurement tool, then what we want to do we want to identify highest bounce rate pages, so what pages are getting the most amount of traffic that’s bouncing at the highest rate. We want to deal with the worst performing pages that are getting the most volume to make a large significant difference as quick as we can. Once we identify the page then we need to identify and segment the source so in other words what source is sending this traffic to this page? Is it a PPC ad? Is it my Facebook page? Is it my twitter profile like sending out links? Is it maybe a traditional advertising campaign and just putting my website on my ads? or maybe more key on putting the specific URL’s to make it easier for me and if I am going to have the trouble of typing your website, right? You can even use short URL’s to make that even easier. But in the essence we want, to identify the source sending to those pages and then step three is review and ensure the source, whatever is being communicated or marketed is in line with where you’re sending them, and if there is an issue there, start there to solve the problem. Get those two things inline. Remember take this personally. Somebody landed In your site that you paid, work or sweated for to try to drive them to you I am going to be assuming that they are your ideal audience because you’re targeting them, and they left immediately. Take this personally and if that doesn’t affect you and put your heart into it. Then realize it your killing profit. Then your ROI is hurting from this. Finally, if money isn’t important to you and you can’t take it personally, shot for a happier engaged user experience. And if you reduced that bounce rate, I guarantee you — you are on your way to achieving that. So, leave some comments so tell me what your bounce rate is and steps that you’re taking to fix this. If you have any questions by all means leave them there as well.